Dental implants provide patients with a number of unique advantages, including jawbone preservation and a lifetime of support for your artificial teeth. 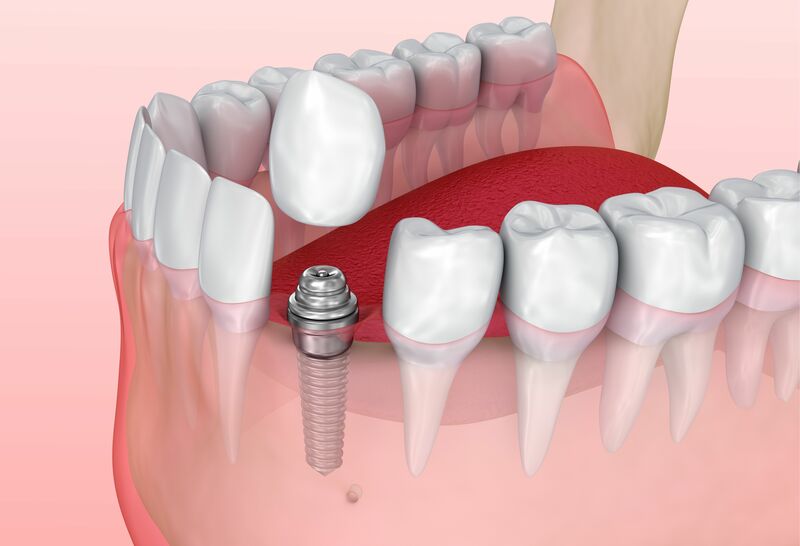 If you are considering dental implants, you may be wondering about recovering from the surgery. The dentists at Signature Smiles in Woodinville, WA can perform a dental implant procedure that minimizes discomfort and expedites healing. Read on to learn more about reducing discomfort after dental implant surgery. Will I Experience Discomfort after Surgery? Dental implant surgery is extremely safe, and most patients do not experience any complications from the procedure. Patients frequently report minor side effects, however, which are short-lived. Discomfort is one of the most common side effects. The anesthesia used during the placement procedure will numb the pain. As this wears off in the hours after surgery, you will likely feel pain at and near the surgical sites. Most patients can control this discomfort with over-the-counter medications and by applying an ice pack. Pain is most acute the first 48 hours after surgery, but quickly subsides. Follow the proper diet. Foods that are hot in temperature or spicy can irritate the incision site. As such, be sure to cool down food before eating it, and eat bland foods for about a week after your procedure. Sticky and hard foods that require considerable chewing put pressure on the jaw and can increase discomfort, so these should also be avoided. Additionally, patients should refrain from eating popcorn, nuts, crackers, and similar foods because small pieces can get stuck in the incision site. Avoid alcohol. Alcohol tends to increase pain and inflammation. Drinking alcohol after surgery can also delay the healing process. Avoid touching the area. You may want to feel the area with your tongue or finger, but this can undermine the healing process and cause discomfort. Brush gently. Oral hygiene routines should be performed carefully and gently in the days and weeks following dental implant placement. Use a salt water rinse. You can use warm salt water to keep your mouth clean and feeling comfortable. Try using about a teaspoon of salt in eight ounces of warm water. Gently swish the salt rinse in your mouth for a couple of minutes. This process can be repeated three times per day. Serious complications from dental implant placement are extremely rare. An infection is one of the more common complications, and should be treated immediately, usually with antibiotics, to prevent it from spreading. Nerve damage and sinus issues are other complications of dental implant surgery. While infection, nerve damage, and sinus issues each have their own set of symptoms, one symptom common to all of these conditions is moderate to severe pain. Anytime you are experiencing severe or worsening pain, you should reach out to your doctor right away. Find out how the dentists at Signature Smiles can ensure you enjoy a comfortable and speedy recovery from dental implant placement. Fill out our online form, or speak to a staff member at (425) 489-1177, to learn more.